The Pixley United Brethren Church has served the southern Tulare County area for over 100 years. As a part of the Church of the United Brethren in Christ, Pixley U.B. is conservative in doctrine and evangelical in outlook. Our worship services include both traditional and contemporary elements with a strong emphasis upon the Bible as the Word of God. Whether you live our area or are just passing through, we invite you to worship with us. Worship services are held every Sunday at 10:30 a.m. 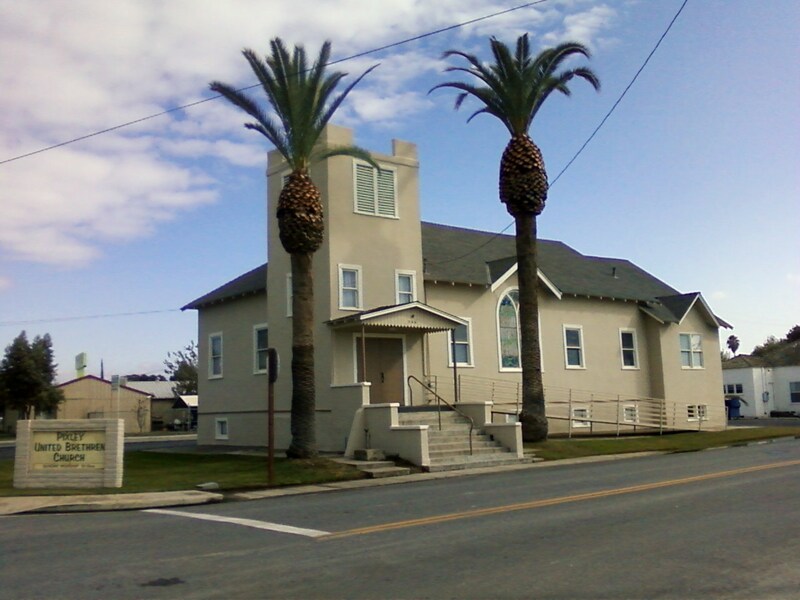 The Pixley United Brethren Church is located on the corner of South Park Drive and East Davis Street in the small community of Pixley in the heart of the great Central Valley of California. Roughly halfway between Fresno and Bakersfield, it is near the entrances to Sequoia National Park, Kings Canyon National Park and the Giant Sequoia National Monument. If you wish to get in contact with us, you can email us at pixub@sbcglobal.net.